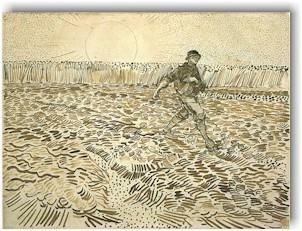 No exploration of Vincent van Gogh's life and work would be complete without a look at his many incredible drawings. Vincent produced more than 1,000 of these works (in addition to his 870 paintings, 150 watercolours and 133 letter sketches) throughout the course of his ten year career as an artist. 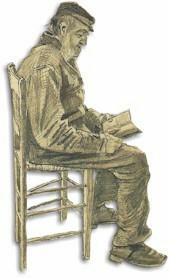 In the listings below you'll find information and graphics for all of Van Gogh's drawings. Now that I offer a complete online catalogue of Vincent's drawings I'll be working hard to improve the quality of the graphics available. In addition, for the visitor's convenience I include a Search page in order to help find the right title as quickly and easily as possible.